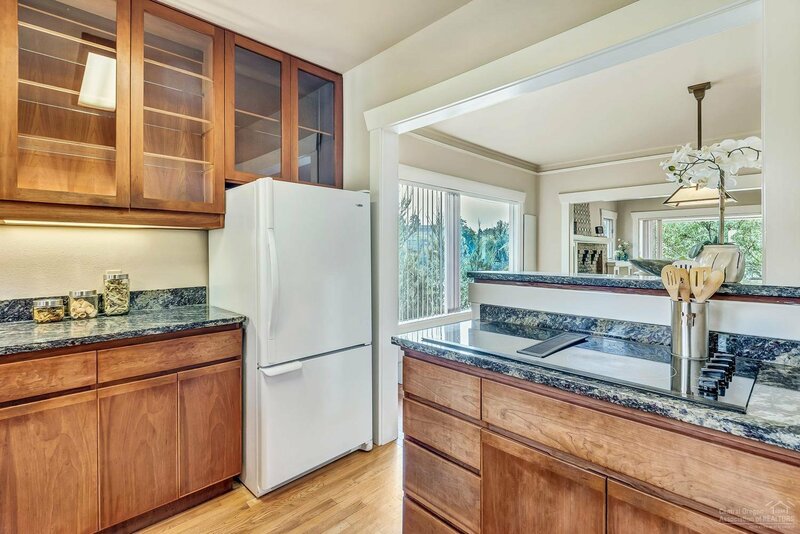 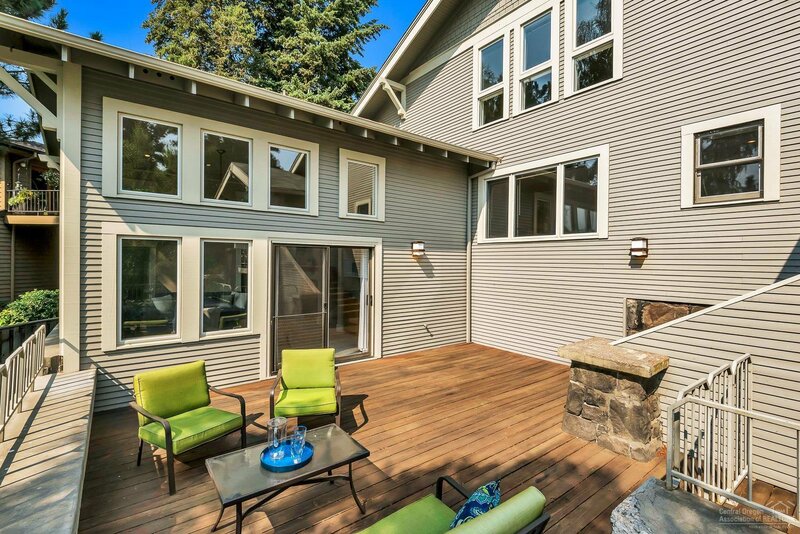 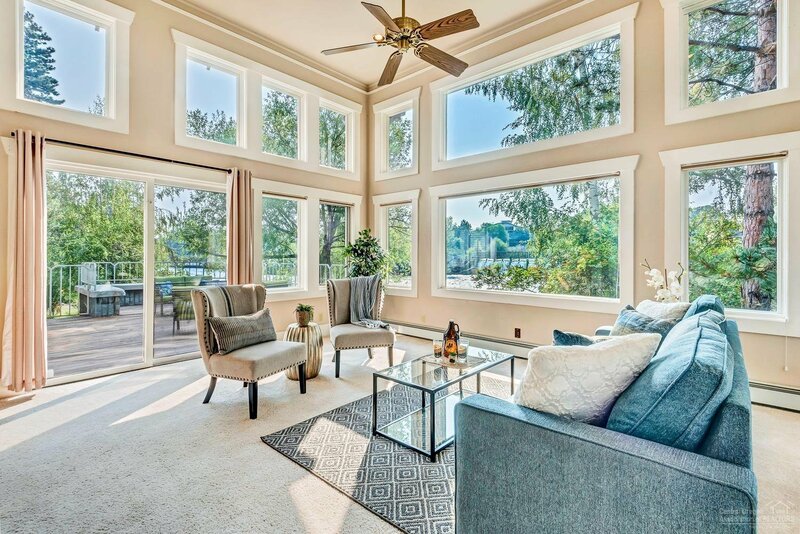 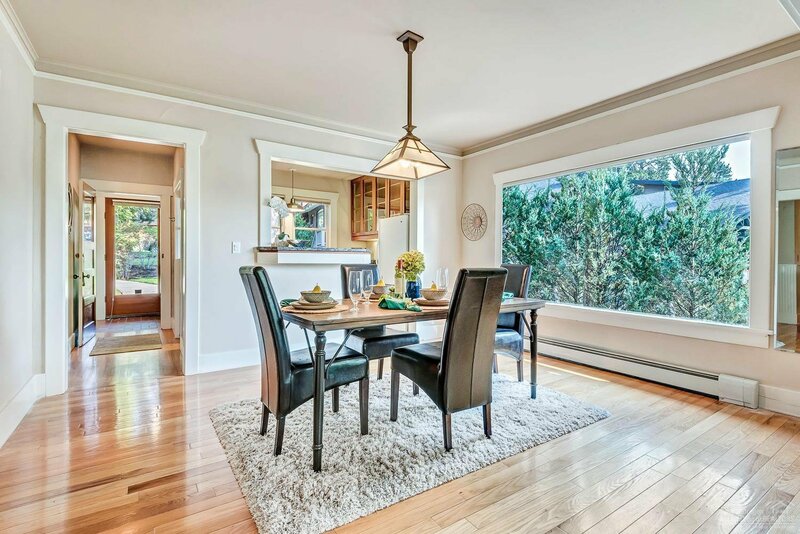 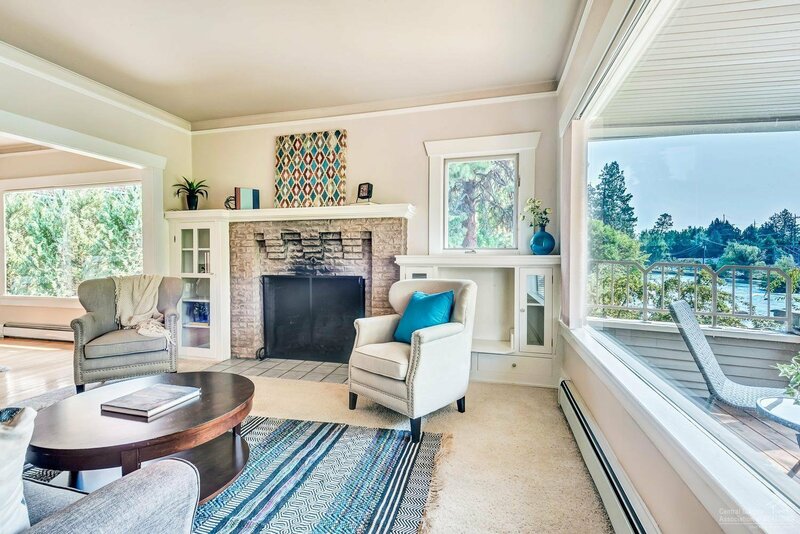 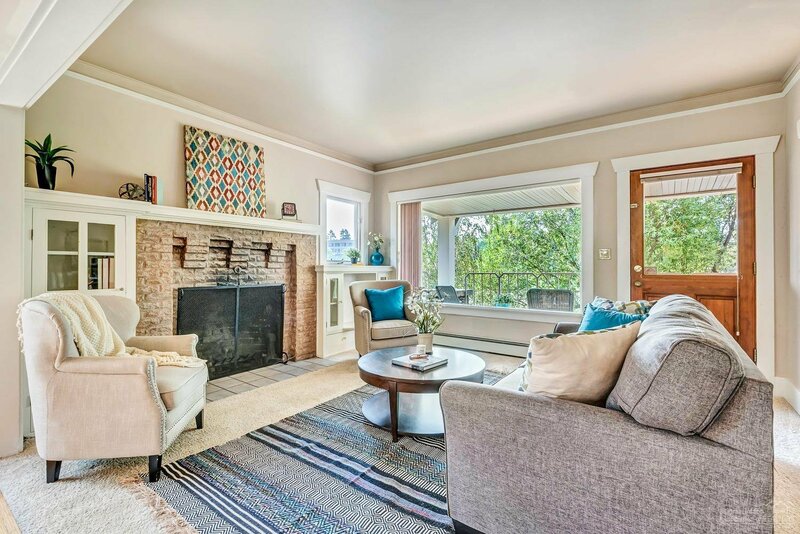 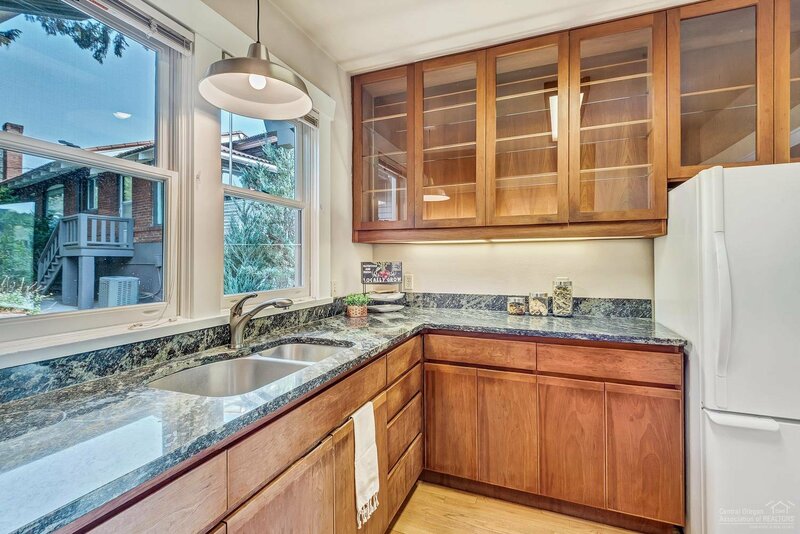 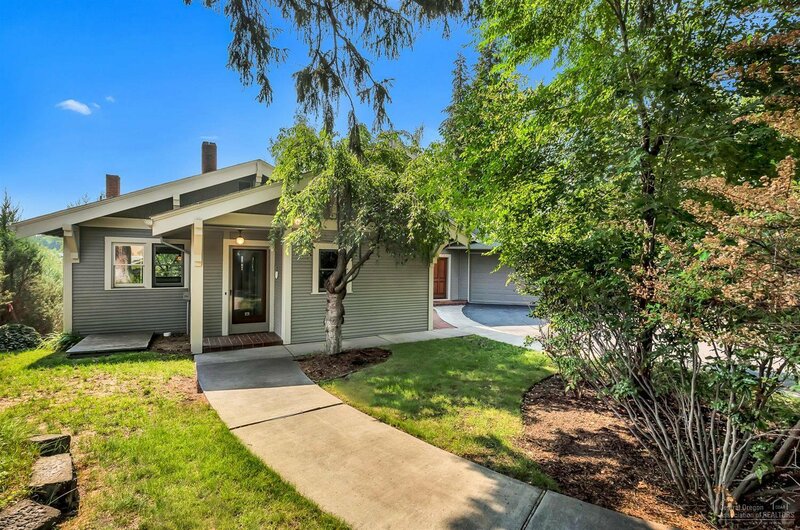 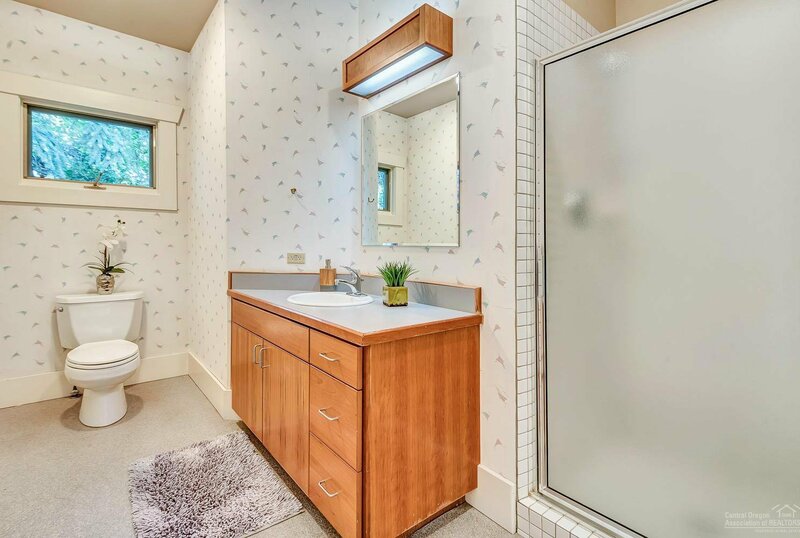 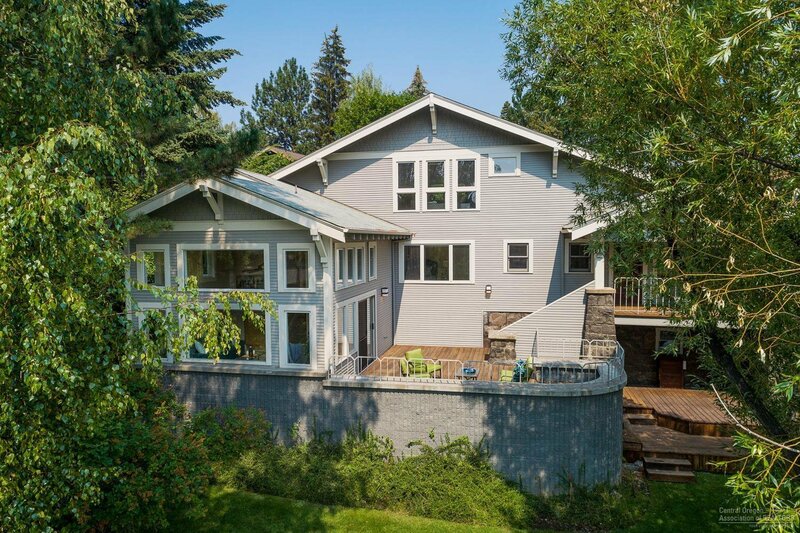 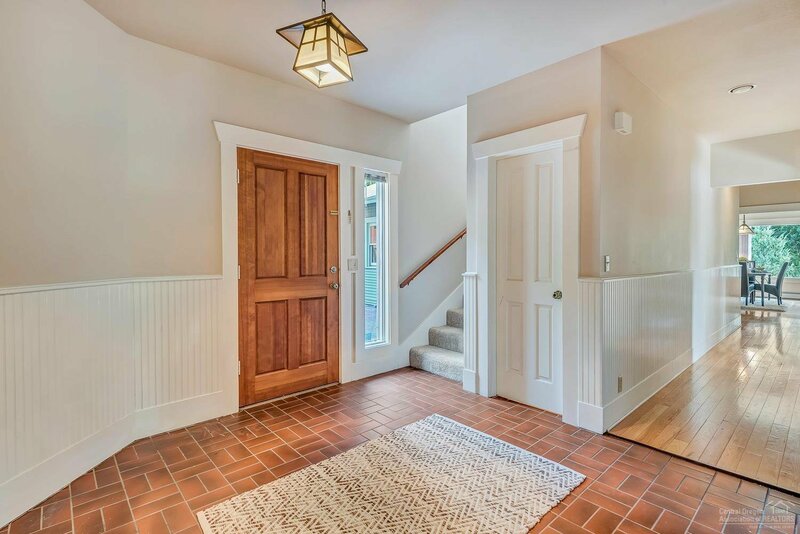 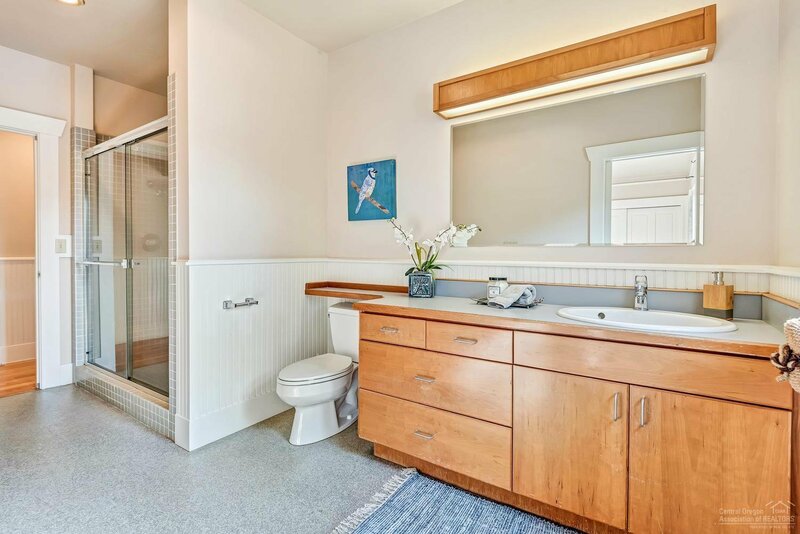 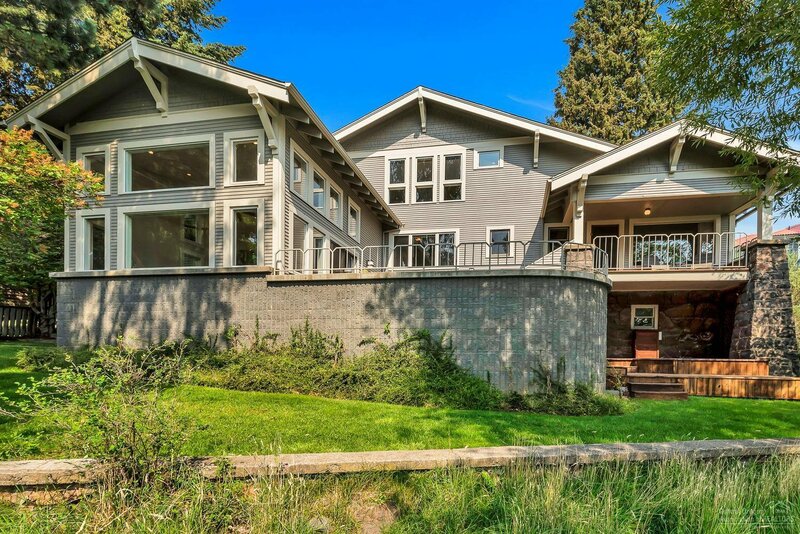 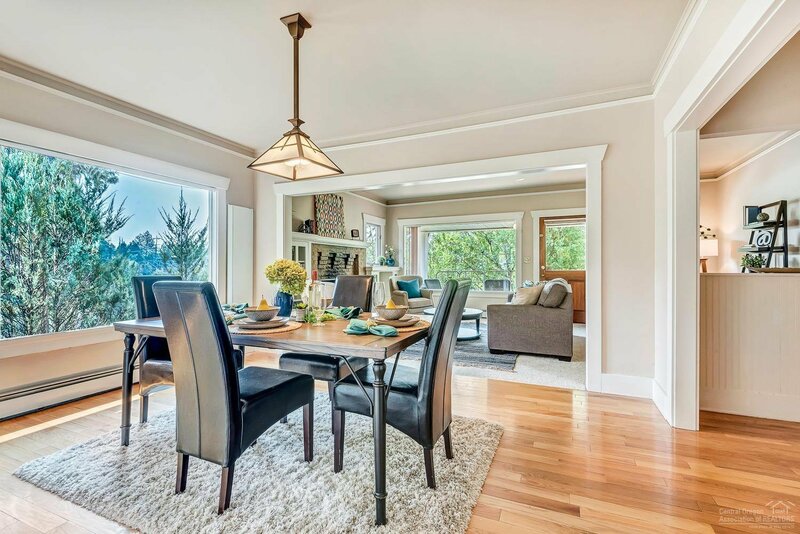 This remarkable location nests a beautiful craftsman home Full rebuild in 1992 designed by Bend Architect Vern Sexton, Built by Kirby Nagelhout Construction. 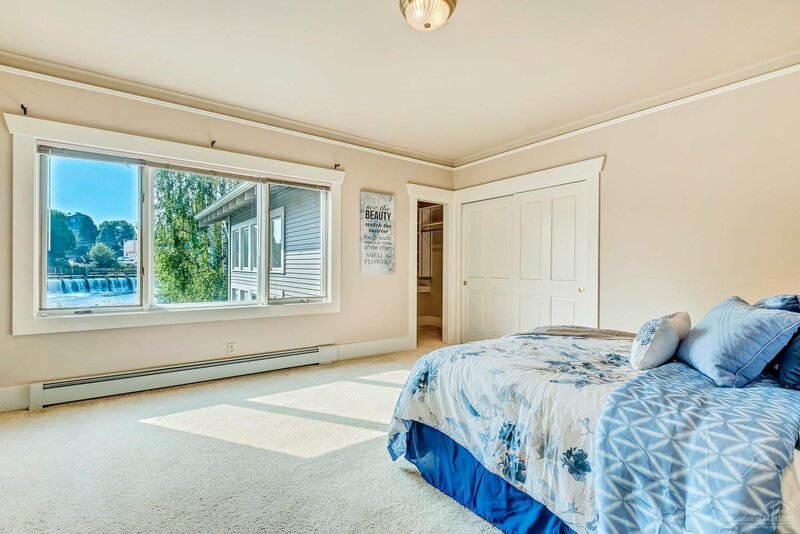 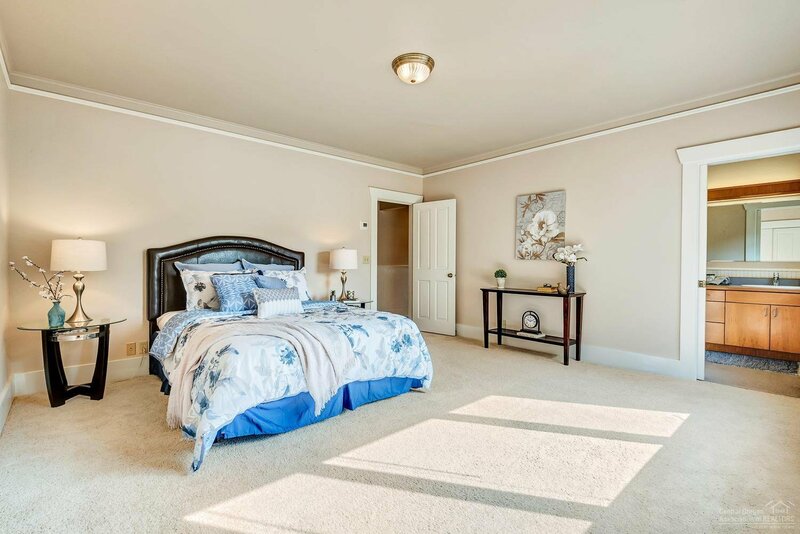 Two master suites plus 2 bedrooms. 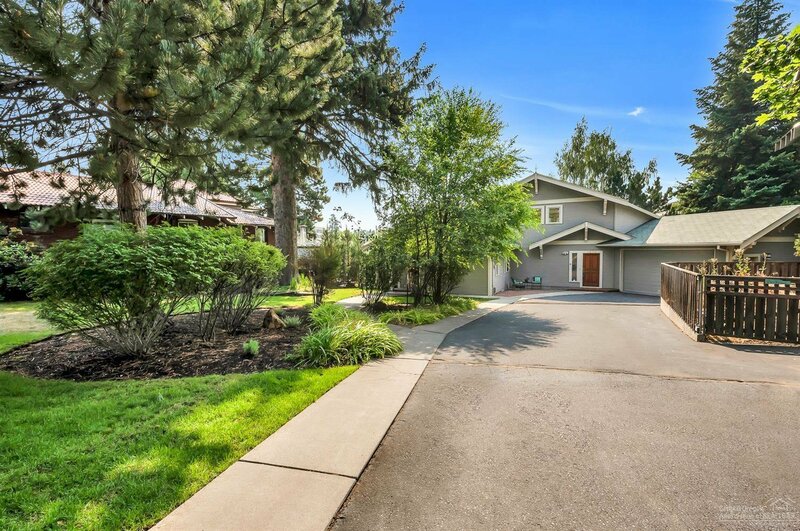 4 bathrooms, 2 living rooms, two car garage. 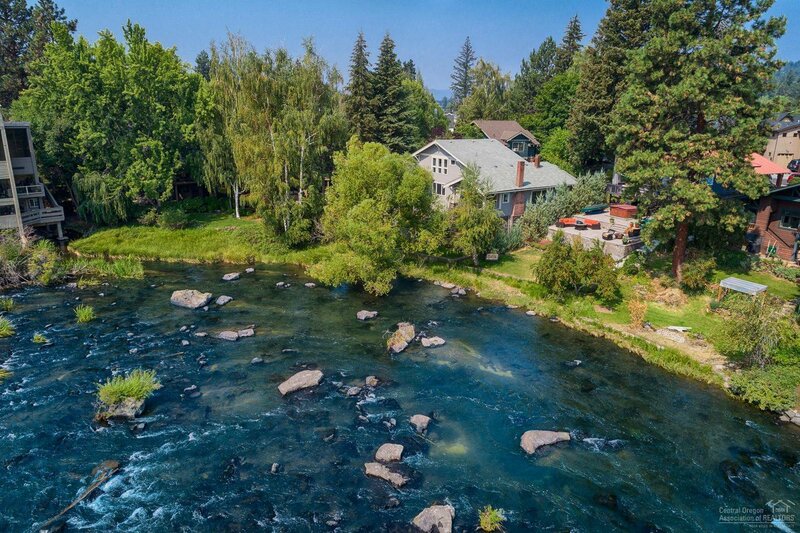 Your own private park on the Deschutes River, close to downtown Bend. 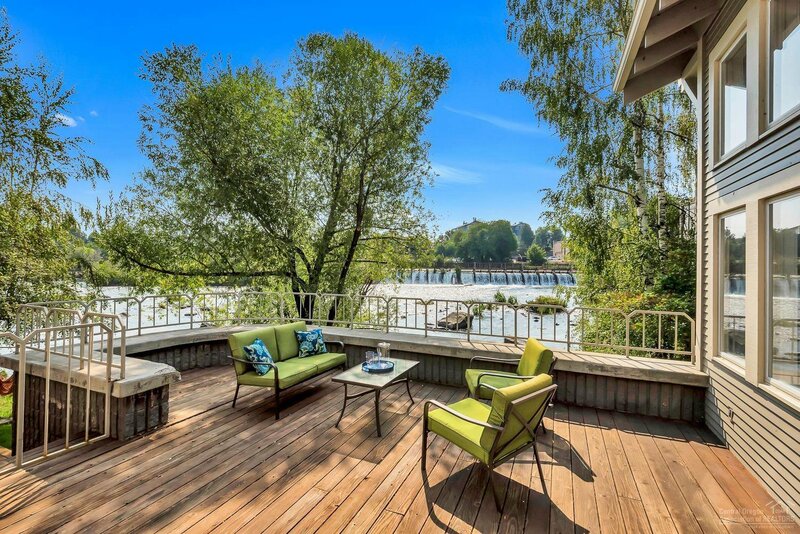 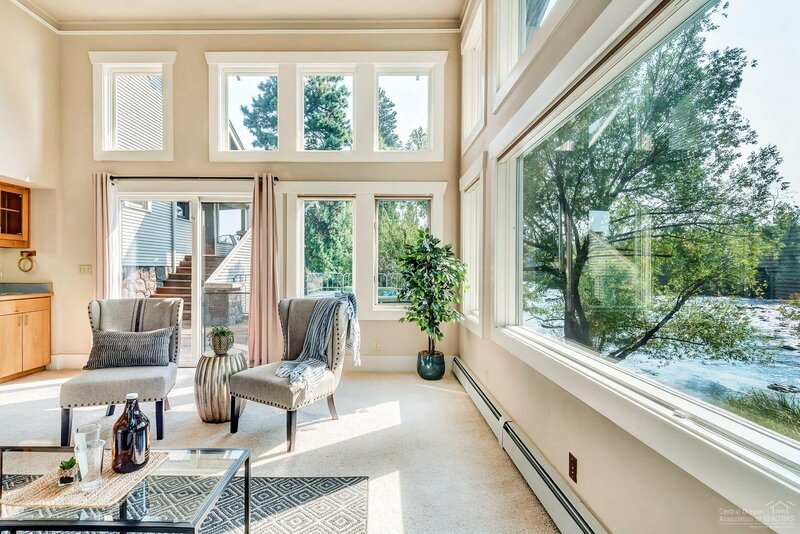 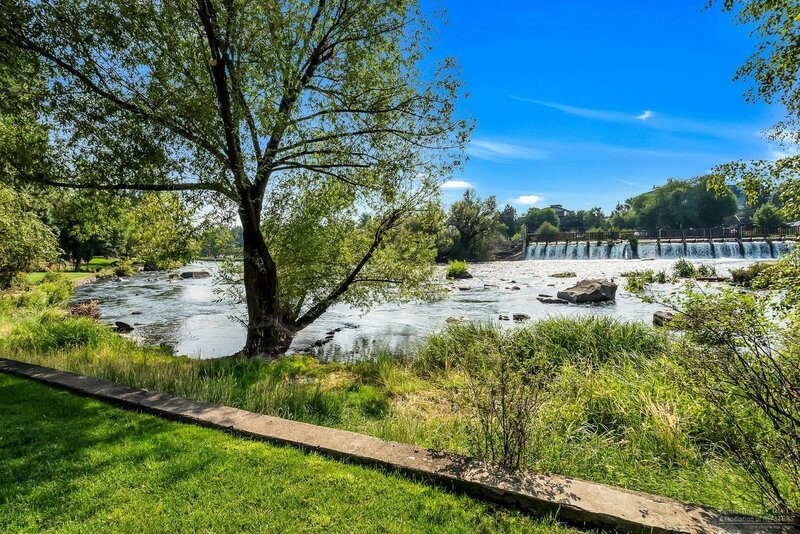 All the beauty of the River with the privacy you desire! 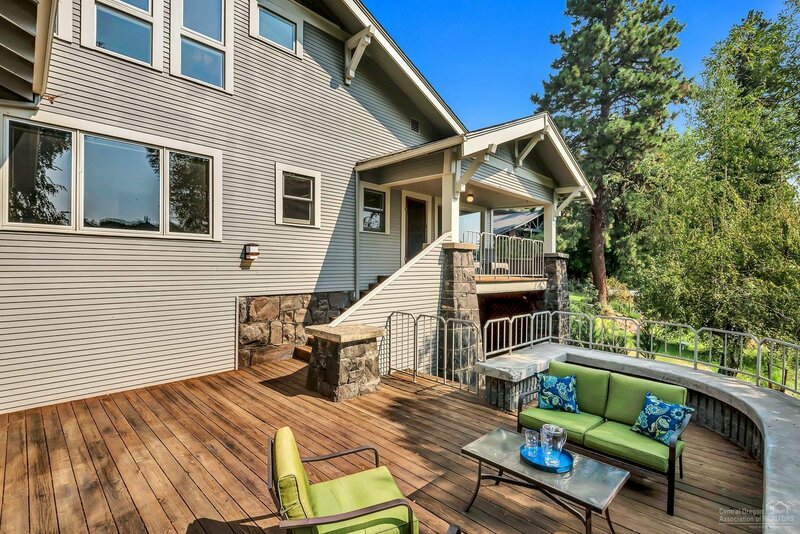 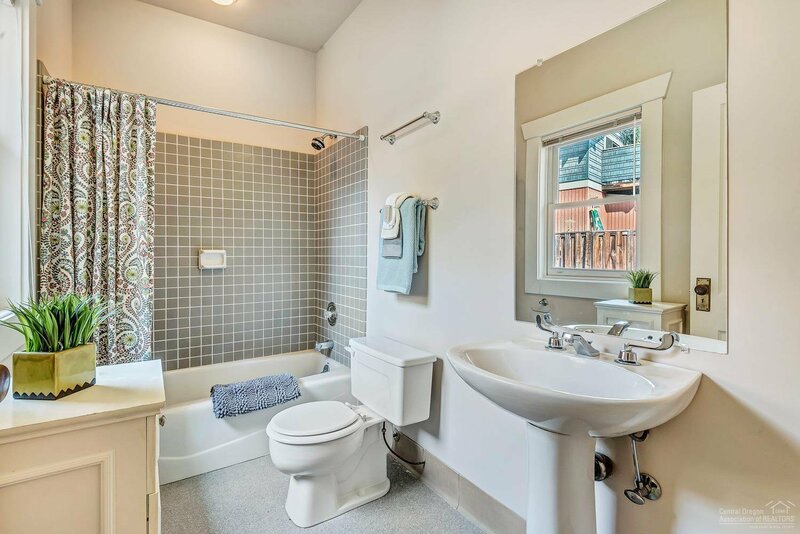 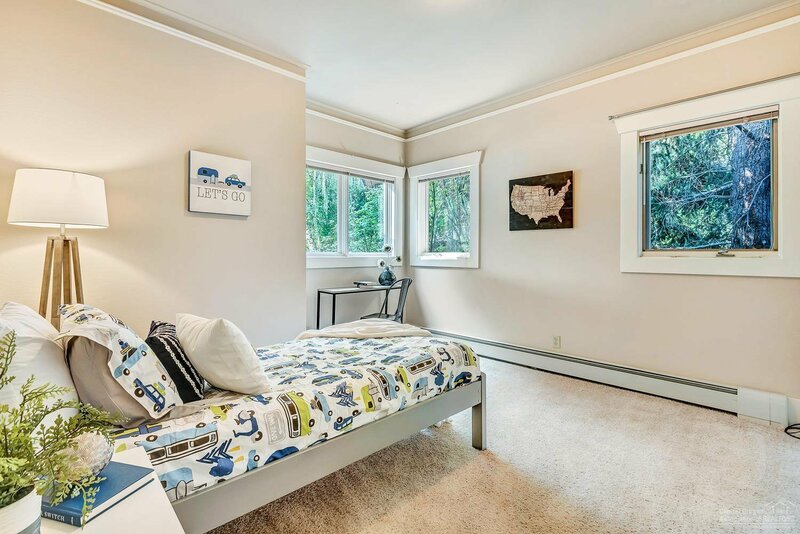 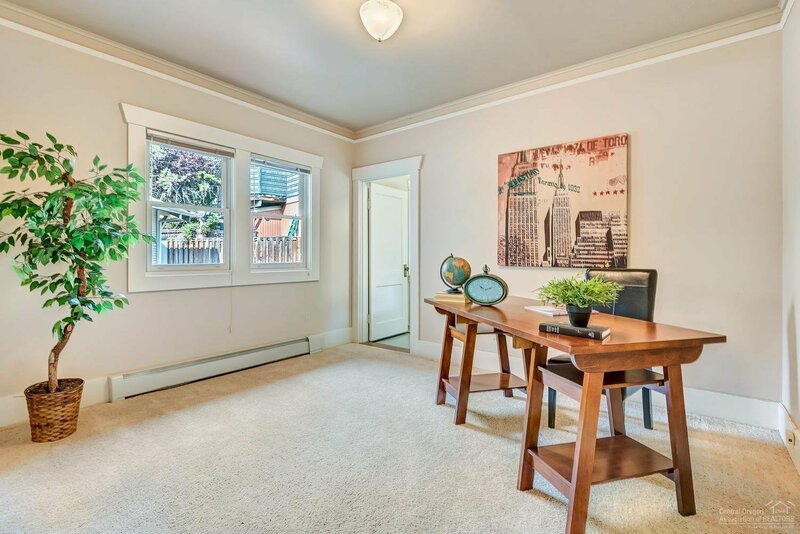 Listing courtesy of Deschutes Property Management.